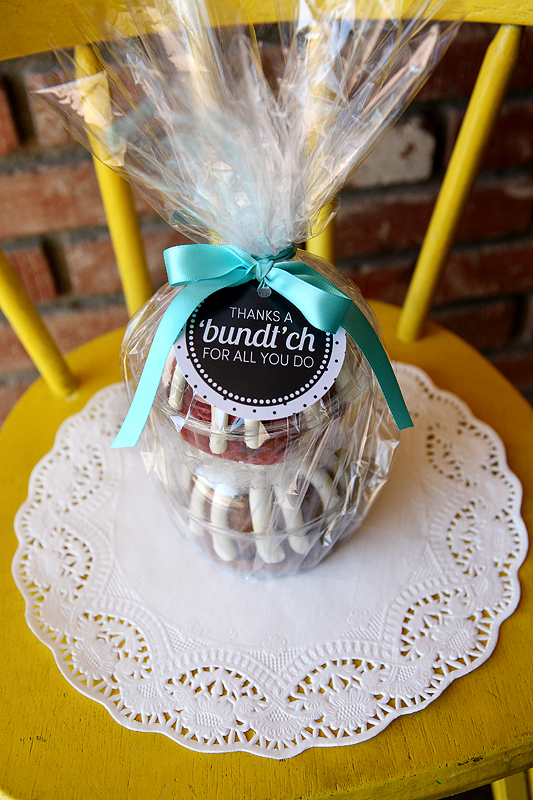 This free printable thank you tag makes gifting a mini bundt cake super cute. Easily thank anyone but we are using them for a sweet teacher gift. We love to show our teachers that we truly appreciate what they do for our kids. 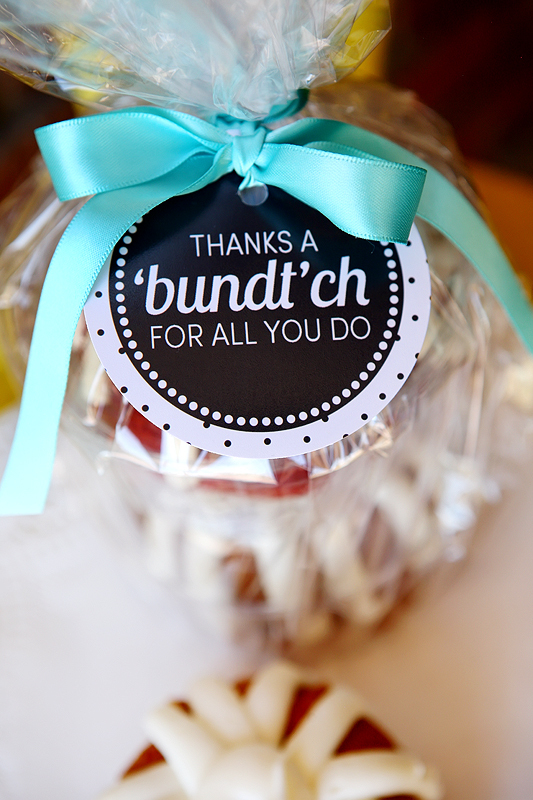 Don’t miss these other fun and clever teacher appreciation ideas. 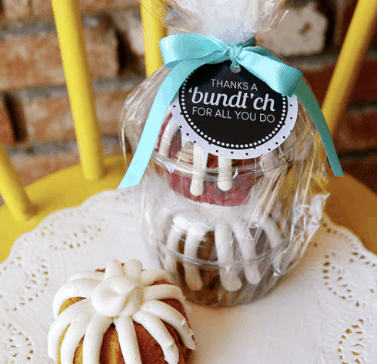 How to make a cute teacher thank you gift! 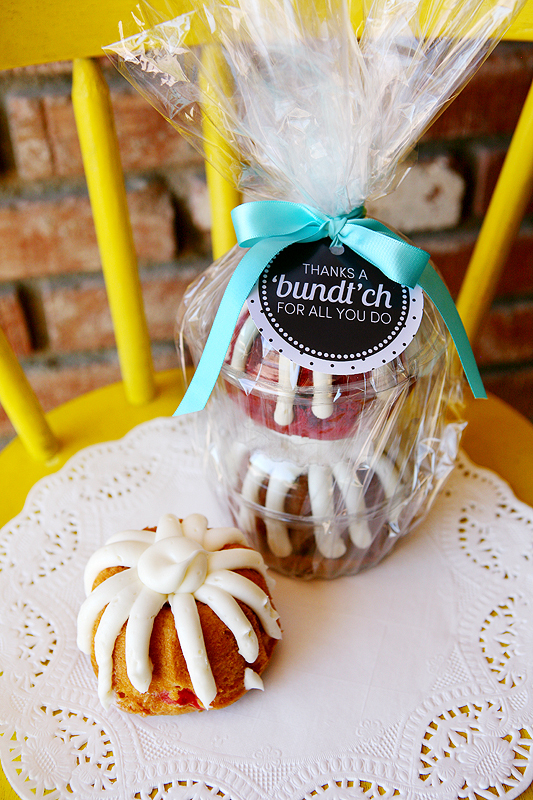 Just a few easy steps and you can wrap up a bundt cake for gifting so easy. This year we plan to show our appreciation with something sweet! One of our favorite treats + a cute tag = a happy teacher. Add your free printable tag before you tie the bow. So quick to put together… and it’s sure to be a hit! You’ll be sure to get an A+! Thanks to the girls from Eighteen25.for this fun idea! 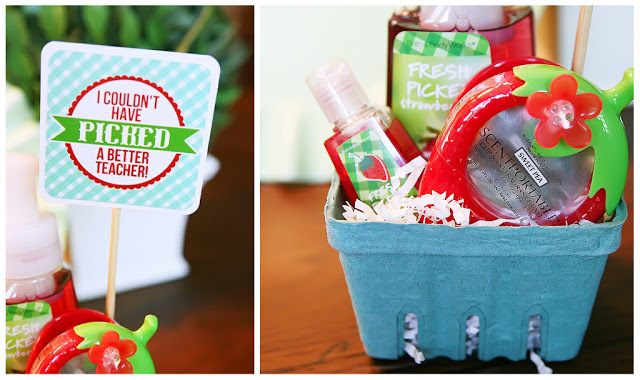 Please visit them form more cute ideas like this Berry Basket! If you are looking for quick and easy ways to say thank you try these ideas. It is so easy to get busy and not stop and say thank you. Really just the simple words are enough or a handwritten card, but if you want to do something more here are some special ways. You are just ‘write’ – Turn a Rolo into a darling pencil with this free printable. Printable Gift Tags – If you love telling your friends how special they are you might like this collection of thank you tags. These tags are paired with a cute little gift and are perfect for teachers and friends. Thank You Gift Ideas – A round-up of ideas! This adorable printable teacher gift is the easiest teacher gift you can find! Your teacher will love this sweet treat! Come grab the free tag today! Thank you! We are using this for our school nurse for Nurses Day! love the gift idea and so cute tags! thanks for sharing. I cant get the link to work to download the tags. Can I get them another way? These are adorable, thanks so much for sharing your wonderful idea! This is a really cute idea. I actually have a free bundtlet coupon for Nothing Bundt Cakes that I need to use. Might just get used for a very "sweet" teacher appreciation gift. Thanks for sharing! I love this idea. Our foundation is looking for a way to say thanks to the teachers in our district and this is a great way! Thanks for all your cute ideas!